This article is sponsored by Pennington Seed. As some of you thaw out from a long winter, you look to your lawn to usher in Spring and Summer with lush green grass. 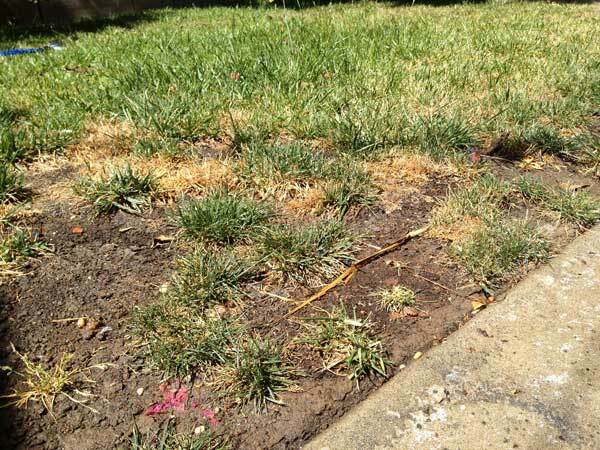 Unfortunately this isn’t always the case as your lawn may already be damaged from the previous year or the harsh winter has killed all or part of your your lawn. We got a crash course in lawn care from our visit to Pennington Seed in Portland last year and came away with some amazing tips to apply to our own lawn. We used Pennington’s 1-Step Complete and in a few weeks our spotty lawn was full and lush. We wanted to share a full how-to for repairing bare spots. These tips are courtesy of Pennington Seed who are offering a $50 Giveaway to one of our readers who shares their best lawn care tip. Keep reading for the how-to and Giveaway details. 1. Mow your lawn closely, then remove leaves, dead grass, etc. 2. Rake lightly and aerate the bare spots to prepare the seedbed. 3. Conduct a soil test to be sure the soil has the proper balance of nutrients. 4. Fertilize and add soil amendments if needed. 5. Sow the seed and gently rake to cover. 6. 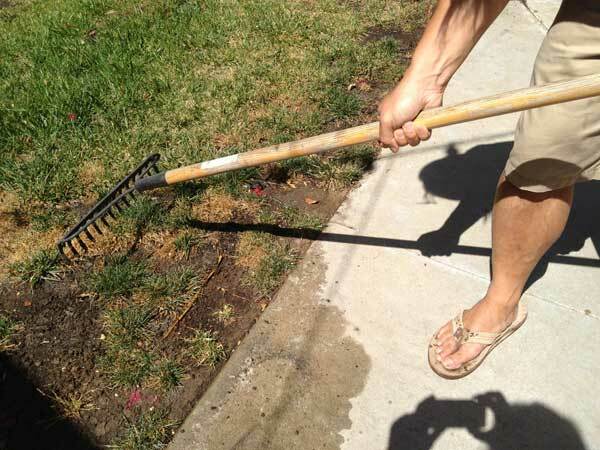 Keep the lawn moist until seedlings are established, then water as needed. Pennington Smart Seed remains green for up to three weeks without water and requires up to 30 percent less water year after year versus ordinary seed. As a pure bred, drought-resistant seed, Smart Seed helps establish fuller, healthier and greener lawns, while efficiently using natural resources. By using a high-quality seed that requires less water, like Smart Seed, lawns are more resilient and easier to maintain. Every bag contains pure seed and no filler—improving resistance to disease, insects and drought. We’re also big fans of Pennington’s 1Step Complete which contains everything needed to fill bare spots. Seed and fertilizer in one. We’ll keep you posted on how our lawn looks after the 1Step Complete has had some time to grow. All of these reason add up to how important it is to choose a drought resistant lawn seed. On to the Giveaway!!! Simply share your favorite lawn or garden tip in the comments below and on Sunday, May 12th at Noon we will select a winner of the $50 . Good luck!